We had the opportunity to Interview Executive Director of The David Project and AMHSI alumnus Phillip Brodsky. I’m Phil Brodsky, 31, from Charlotte, North Carolina. I went to University of North Carolina for undergrad and graduated in 2005. After college, I worked at the Director of Programming for Alpha Epsilon Pi Fraternity. In 2008 I moved to Boston to earn my Masters in Jewish Leadership and Masters in Business Management from the Hornstein/Heller program at Brandeis University. Since graduating there, I have worked at The David Project. For four years I was our Campus Director and this past summer I was promoted to Executive Director. Today, I live in Dorchester, Mass. with my wife Kali. What is the David Project? 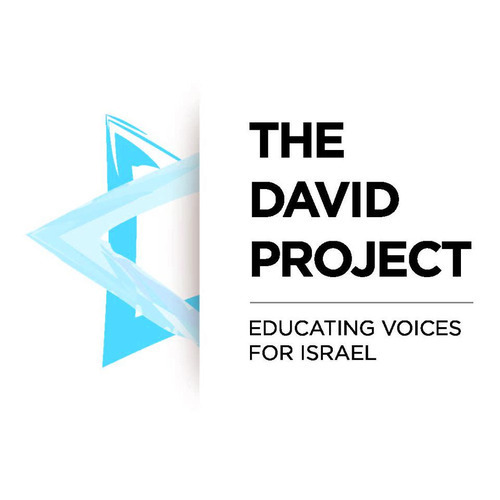 Established in 2002, The David Project impacts discourse on Israel on American college campuses by training and empowering college students to advocate for Israel by engaging their peers from student groups outside the Jewish community. The David Project believes that the most effective way to dispel misconceptions, enhance students’ understanding, and raise support for Israel is by building genuine and lasting relationships across campus. We call this ‘relational advocacy.’ By providing students the strategic guidance, content, and the skills necessary to form robust networks, they can then leverage those relationships in times of crisis (such as during a boycott, divestment and sanctions campaign). Today The David Project is active on 50 campuses. This winter we are bringing more than 100 Jewish and non-Jewish students to Israel together from 32 campuses. These students will learn about Israel first hand while building the context for joint initiatives once back on campus in the spring. What is your role in the David Project? As the executive director of The David Project, I oversee our strategic vision and work on campus as well as our business operations. 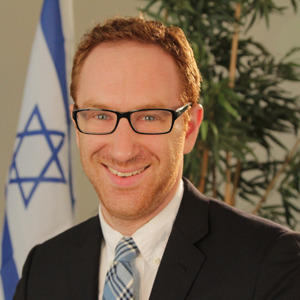 How did you get into Israel Advocacy? I’ve always felt connected to Israel. But, after spending the summer of 2000 at AMHSI and learning Israel’s history I truly felt like I was part of the Zionist narrative. But, after I came home from my summer in Israel, a new reality in the Middle East came to be when the second Intifada began just after our summer semester finished. Back in Charlotte as a senior in high school, I organized a youth rally for Israel and was able to get together more than 200 of my peers to gather and show support for the Jewish state before Hebrew High school one night. Since then, I have been involved with the Jewish community as a leader in college, in my work with Alpha Epsilon Pi Fraternity as its Director of Jewish Programming after college, and now at The David Project. How has coming to AMHSI contributed to your current activity? In high school, I desperately wanted to travel to Israel, but I wanted to find a program that fit my values, and HSI seemed like the perfect fit – and it was. It was a most amazing summer and I still think back to what I learned there about Israel and about leadership. I often think about my teacher Suzie and how she managed our class and taught us in such an experiential way. In my work with The David Project, I seek to educate students about Israel and mentor them in a similar fashion to the way that HSI stood me up as a leader. We work with students on about 50 campuses in the U.S. as well as bring students to Israel each winter. I am often asked to explain Israel’s current events and the history of the Jewish people, which i would not be able to do without the foundation I received from HSI. Has your experience at AMHSI positively contributed to your college acceptance or career opportunities? There are several points and mentors in my life that led me to where I am today, and HSI was one of the earliest and most impactful that I still think about more than a decade later. What would you tell anyone who is thinking on coming to AMHSI? Do it, don’t wait to sign up, and don’t look back! You will be forever changed in the best of ways.